Create a website to be used as a comprehensive sales tool. Clean and dynamic design that showcases products and case studies while promoting interaction between client and business. 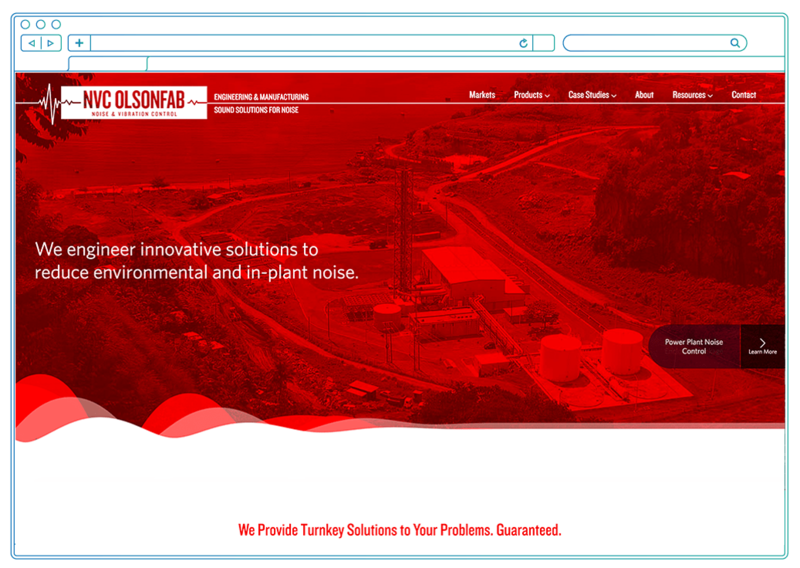 Knack Digital worked with 9 Lives Design to create a customized look for the NVC Olsonfab website. 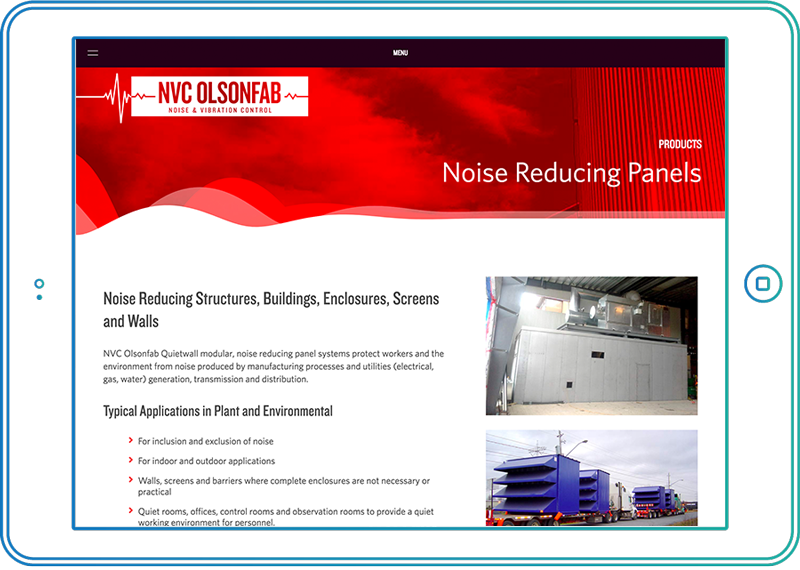 On each page, Knack Digital developed an animated sound wave that starts loud and fades out towards the right side of the screen, bringing the NVC Olsonfab logo to life and engaging clients. Product and Case Study pages allow potential customers to educate themselves while viewing images intuitively. NVC Olsonfab website is developed for all screen sizes and also supports earlier versions of IE.